Last night, Isaac and I arrived at the beautiful, serene Kiawah Island. 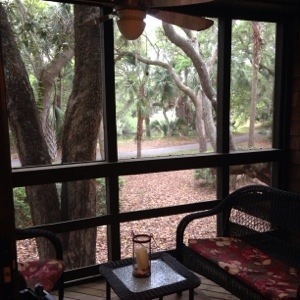 In our backyard lives a giant alligator and from our front steps we can hear the ocean waves. The nature here is simply wonderful. It’s one of our favorite places to vacation, and a friend’s wedding here this weekend gave us another opportunity to come back. We spent the evening cooking some meals for the weekend and reminiscing about the days when we lived in the FL Keys, sharing a studio that was even smaller than the 400 square foot condo we are in for the weekend. Anyway, I started panicking (always a good idea when you’re already having trouble breathing) and began putting together my emergency nebulizer as quickly as I could with shaky hands and a racing mind. My nebulizer brought me out of the red zone (thank God for modern medicine) and I finally felt that calling an ambulance was probably not going to be on the evening’s agenda anymore. Isaac and I decided that something was obviously triggering my asthma in the bedroom so I moved out to the couch and could breathe much easier. My sweet husband held my still shaking body tightly on the couch until I relaxed enough to go to sleep. This morning he woke up feeling awful. Congested, tight-chested, exhausted, and just allergic feeling in general. A little exploring under the bed revealed about an inch of dust. He said it looked like it had never been vacuumed. Pretty amazing considering our cleaning fee for this tiny condo is almost $100.00! Isaac spent the next hour deep cleaning the bedroom (the best way to spend a vacation, no? 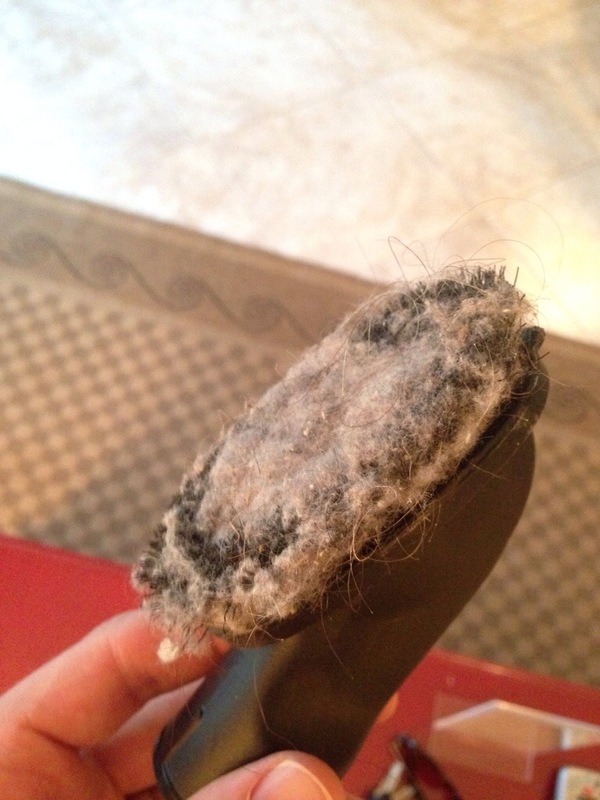 ), and this was the vacuum head after one minute of vacuuming under the bed. Disgusting, right?? He emailed the property owner to let her know that the resort who manages her condo is not keeping up with the cleaning the way they should be. We also asked for our cleaning fee to be waived, naturally. So now that cleaning is out of the way, here’s hoping the rest of the weekend is uneventful as far as allergies and asthma go. Never a dull moment, that’s for sure. Lucky, lucky Isaac! May 2, 2014 in All Posts. Hope you’re doing much better. I have asthma and its difficult to stay calm when you cant breathe. I know how that goes. Bummer!!!! Looks like a lot of animal hair …yuk! So sorry you had to deal with that, such a disappointment. Hope it’s much better tonight. Oh Court! I’m so sorry your trip started like that! I hope the rest of the vacation is full of only fun things! Have a great time!! See you soon!